This is the Equinox DJ Booth Heart Design Lycra cover for an Equinox DJ Booth. 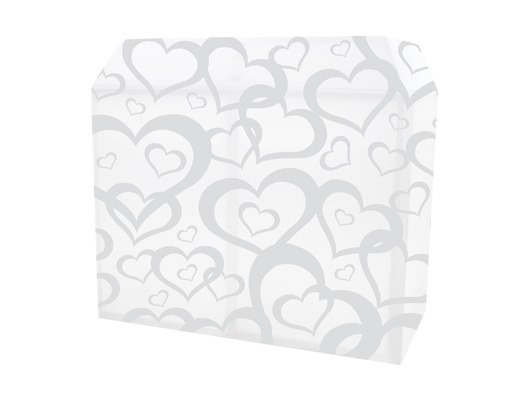 It features a subtle but pretty hearts design that will suit wedding, anniversary and, engagement parties and make you stand out well and truly from the crowd with this attractive cloth. I love this lycra! I have fit it over the top of the black lycra that is provided with the booth and it makes the booth look that little bit extra special for wedding and engagement parties. I used it a recent wedding fair to show off my set up. I lost count how many people commented on how lovely the heart design lycra appeared. Definitely one of my better buys! !